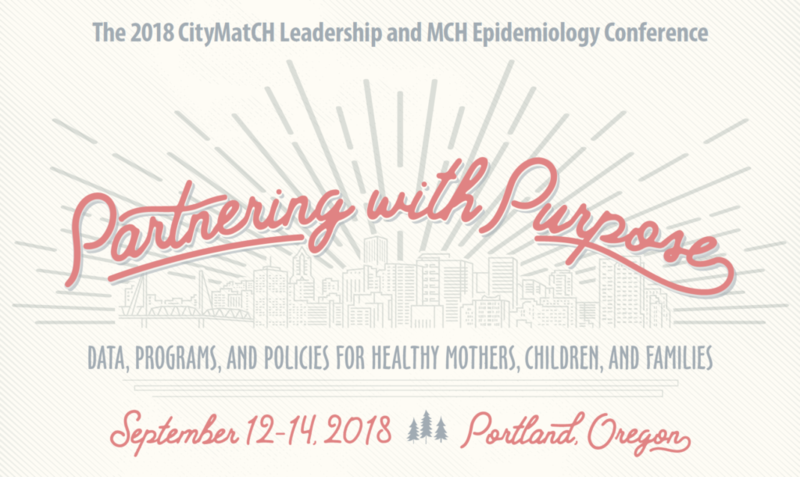 Nearly 800 Maternal and Child Health Professionals attended the 2018 CityMatCH Leadership & MCH Epidemiology Conference Partnering with Purpose: Data, Programs, and Policies for Healthy Mothers, Children and Families took place in Portland, OR Sept. 14-16, 2018. The conference, once again, brought together the CityMatCH Urban Maternal and Child Health Leadership Conference, and the Maternal and Child Health Epidemiology Conference. The conference offered a platform to share experiences, enhance knowledge, and generate new ideas for promoting and improving the health of women, children and families. Participants discovered critical elements of evidence-based public health programs; innovative strategies to enhance the reach and impact of these programs; national recommendations and examples for public health programs and policies at the local and state level; and health impacts of established and proposed federal, state and local policies that affect maternal and child health populations.